Louis-Philippe of France - King of the French from 1830 to 1848. Orléans is the name used by several branches of the Royal House of France, all descended in the legitimate male line from the dynasty's founder, Hugh Capet. It became a tradition during France's ancien régime for the duchy of Orléans to be granted as an appanage to a younger (usually the second surviving) son of the king. While each of the Orléans branches thus descended from a junior prince, they were always among the king's nearest relations in the male line, sometimes aspiring and sometimes succeeding to the throne itself. 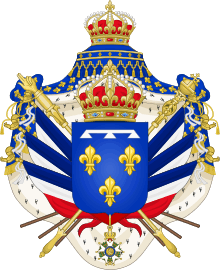 The last cadet branch to hold the ducal title descended from the younger son of Louis XIII of France, and is sometimes known as the "House of Bourbon-Orléans" (Maison de Bourbon-Orléans). 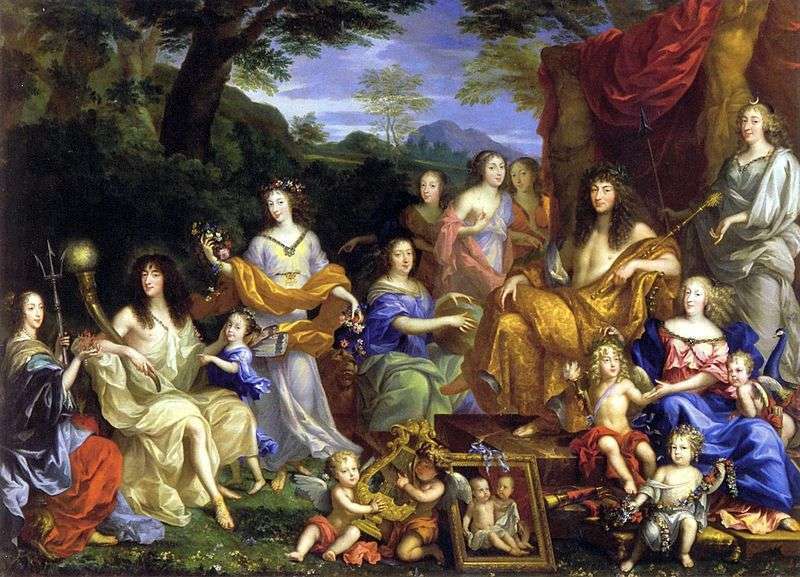 From 1709 until the French Revolution the Orléans dukes were next in the order of succession to the French throne after members of the senior branch of the House of Bourbon, descended from Louis XIV. 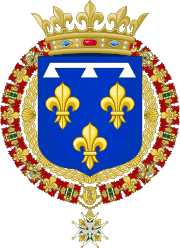 Louis XIII's younger brother and younger son were granted the dukedom successively in 1626 and 1660, and since they had contemporaneous living descendants, there were actually two Bourbon-Orléans branches at court during the reign of Louis XIV. The elder of these branches consisted of Gaston, duc d'Orléans, younger son of Henry IV, and the four daughters of his two marriages. The junior and final House of Orléans descended from Philippe I, Duke of Orléans, Louis XIV's younger brother (who, as such, was known at court simply as Monsieur). Although Louis XIV's direct descendants retained the throne, his brother Philippe's descendants flourished until the end of the French monarchy, held the crown from 1830 to 1848, and still exist as pretenders. Upon the death of Gaston of Orléans, the appanage of the Duchy of Orléans reverted to the crown. The appanage was given to Philippe, the brother of Louis XIV of France. It was Philippe and his second wife, the famous court writer Elizabeth Charlotte of the Palatinate, who founded the modern House of Orléans – their surviving son being the regent of France for the young Louis XV. As a fils de France, Philippe's surname was "de France". 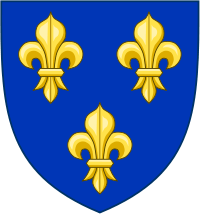 Upon his death, his son inherited the Orléans dukedom, but as only a petit-fils de France his surname (and that of his descendants) was taken from his father's main title, and was thus d'Orléans. The first two dukes, as son and patrilineal grandson, respectively, of a French king, were entitled to be addressed as Royal Highness. But Philippe I was primarily known as Monsieur, the style reserved for the king's eldest brother at the French court. Philippe II was succeeded as duke by his son Louis d'Orléans, who was entitled to the style of Serene Highness as a prince du sang. After 1709, the heads of the Orléans branch of the House of Bourbon ranked as the premier princes du sang – this meant that the dukes could be addressed as Monsieur le Prince (a style they did not, however, use) and that, should there be no heir to the crown of France in the king's immediate family, then the Orléans family would ascend the throne by right. Gaston de France became the Duke of Orléans in 1626, and held that title until his death in 1660. 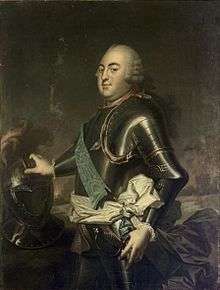 His nephew, Louis XIV, then gave Gaston's appanages to his younger brother, who thus became Philippe I, Duke of Orléans. At court, Gaston was known as Le Grand Monsieur, and Philippe was called Le Petit Monsieur while both princes were alive. Before then, Philippe had been known as the duc d'Anjou. 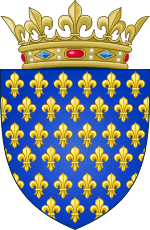 Besides receiving the appanage of Orléans, he also received the duchies of Valois and Chartres: Duc de Chartres became the courtesy title by which the heirs apparent of the Dukes of Orléans were known during their fathers' lifetimes. Until the birth of the king's son, the Dauphin Louis, the Duke of Orléans was the heir presumptive to the crown. He was to maintain a high position at court till his death in 1701. In 1709, the 5th prince de Condé died. He was the premier prince du sang and head of the House of Bourbon-Condé. As a result of this death, the title of premier prince passed to the House of Orléans, as they were closer in blood to the throne of France. But since the two senior males of that line held higher rank as, respectively, fils de France and petit-fils de France, they did not make use of the title and had no need of its attached prerogative; a household and retinue maintained at the expense of the Crown. The Orléans household was already large, as it held the staff of Philippe II d'Orléans and of his wife, as well as the staff of his widowed mother, the dowager Duchess. This combined household, though not fully functional until 1723, contained almost 250 members including officers, courtiers, footmen, gardeners, and even barbers. On the death of Louis XIV in September 1715, the new king, Louis XV, was but five years old. The country was then governed by the new king's older relative Philippe II d'Orléans as the regent of France. This period in French history is known as the Regency (La Régence), and gave the House of Orléans the pre-eminent position and political role in France during the king's minority. The regent ruled France from his family residence in Paris, the Palais-Royal. He installed the young Louis XV in the Palais du Louvre which was opposite the Palais-Royal. In January 1723 Louis XV gained his majority and began to govern the country on his own. The young king moved the court back to Versailles and in December, Philippe II died and his son, Louis d'Orléans succeeded him as 3rd duke and, more importantly, as France's heir presumptive. Nonetheless, since his rank by birth (as a great-grandson of a French king) was prince du sang, that of premier prince du sang constituted a higher style, of which he and his descendants henceforth made use. Louis d'Orléans was in several ways his father's opposite, being retiring by nature and extremely devout. Although still in his twenties when widowed, he did not remarry after his wife's death, and is not known to have ever taken a mistress. He died in the Monastery of St. Geneviève in Paris. His son, Louis Philippe I, Duke of Orléans, was the fourth of his line to hold that title. After having a distinguished military career, he decided to live quietly with his mistress (later, his morganatic wife), the marquise de Montesson, at the Château de Sainte-Assise. Louis Philippe I d'Orléans and his wife Louise Henriette de Bourbon had two children: the fifth duke, Louis Philippe II d'Orléans, known to history as Philippe Egalité, and Bathilde d'Orléans. As the duc de Chartres, Louis Philippe II, Duke of Orléans, married one of his cousins, Louise Marie Adélaïde de Bourbon. She was the sole heiress of the House of Bourbon-Penthièvre, which had accumulated vast wealth bestowed, despite their bar sinister, on the princes légitimés by their father, Louis XIV. The duchesse de Chartres had a dowry of six million livres, the modern equivalent of almost £20 million, and an annual allowance of over 500,000 livres, the modern equivalent of almost £1.7 million per year. Upon the death of her father she inherited the remainder of the Bourbon-Penthièvre revenues and châteaux. Louis Philippe II was given the surname Egalité ("Equality") when French titles of nobility were abolished in 1790. His wife outlived him by almost thirty years. Louise Marie Thérèse Bathilde d'Orléans married Louis Henry II, Prince of Condé, the last of his house, and was the mother of the duc d'Enghien, who was executed by Napoleon. She died in 1822, the same year as her sister-in-law the duchesse d'Orléans. They were both buried in the Chapelle royale de Dreux. At the time of the French Revolution, Philippe Egalité, was the only person of royal blood to actively support the revolution. He went so far as to vote for the execution of his cousin, King Louis XVI, an act which earned him popularity among the revolutionaries, and the undying hostility of many French monarchists. He remained in prison until October, the beginning of the Reign of Terror. He was shortlisted for a trial on October 3, and effectively tried and guillotined in the space of one day, on the orders of Maximilien Robespierre. Most of the Orléans family were forced to flee. The new duc d'Orléans had fled to Austria several months previously, triggering the arrest of his father. His brother, the duc de Montpensier, would die in England, and his sister fled to Switzerland after being imprisoned for a while. The youngest brother, Louis-Charles, Count of Beaujolais, was thrown into a prison in the south of France (Fort-Saint-Jean in Marseille) in 1793, but later escaped to the United States. He too died in exile. Of the Orléans, only the widow of Philippe Egalité was able to remain in France unhindered until, in 1797 she, too, was banished to Spain along with the few remaining Bourbons who still lived in France. In 1814 during the Bourbon Restoration, the three remaining members of the family, the duc d'Orléans, his mother and sister, returned to Paris. The family's properties and titles were returned to them by Louis XVIII. 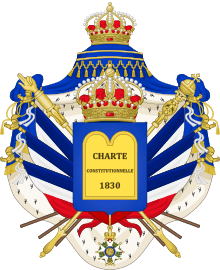 In 1830, following the French July Revolution, the House of Orléans became the ruling house when the monarch of the elder restored Bourbon line, Charles X, was replaced by the 6th duke, Louis Philippe III d'Orléans, son of Philippe Egalité. Louis Philippe ruled as a constitutional monarch, and as such was called King of the French, rather than "of France". His reign lasted until the Revolution of 1848, when he abdicated and fled to England. Even after his ouster, an Orléanist faction remained active, supporting a return of the House of Orléans to power. Legitimist monarchists however continued to uphold the rights of the elder line of Bourbons, who came close to regaining the throne after the fall of the [Second Empire]. In the early 1870s, a majority of deputies in the National Assembly were monarchists, as was the nation's president, MacMahon. Thus, it was widely expected that the old dynasty would be invited to re-mount the throne, in the person of either the Bourbon or the Orléans claimant. To seize this opportunity the Orléanists offered a so-called fusion, whereby King Louis Philippe's grandson and heir, Philippe, comte de Paris, accepted the childless Legitimist pretender's right to the throne, thereby potentially uniting French royalists in support of a single candidate. But the refusal of the last male of Louis XIV's direct line, the comte de Chambord, to accept the tricolore as France's flag under a restored monarchy proved an insurmountable obstacle to his candidacy. Although the Orléans had reigned under the tricolor without objection, this time the Orléans princes did not abandon the cause of the head of their dynasty by seeking to offer themselves as alternative candidates; by the time Chambord died and the Orléans felt free to re-assert their claim to the throne, the political moment had passed, and France had become resolutely republican. France has had neither a Bourbon nor Orléans monarch since 1848. 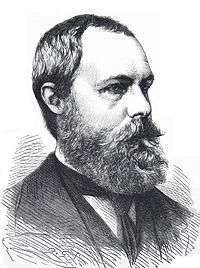 Louis-Philippe and his family lived in England until his death in Claremont, Surrey. Like his mother, he and his wife, Amelia (1782–1866), were buried at the Chapelle royale de Dreux. In 1883, the comte de Chambord died without children. As a result, some Legitimists recognized the House of Orléans as the heirs to the throne of France. However, a portion of the Legitimists, still resentful of the revolutionary credentials of the House of Orléans, transferred their loyalties to the Carlist heirs of the Spanish Bourbons, who represented the most senior branch of the Capetians even though they had renounced their claim to the French throne to obtain Spain in 1713. Thus to their supporters, not only are the heads of the House of Orléans the rightful heirs to the constitutionalist title of "King of the French", but also to the Legitimist title of "King of France and Navarre". 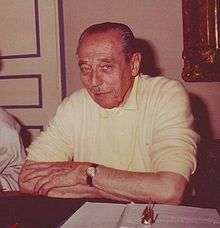 Henri d'Orléans, Count of Paris, was the orléanist claimant to the French throne from 1940 until his death in 1999. The head of the house today is Henri, comte de Paris, duc de France (born 14 June 1933). He is a claimant to the French throne. If he were king, he would be Henry VII. For the Orléanists, he is the heir of King Louis Philippe of the French; for Legitimists, the heir of Henri, comte de Chambord, and so of Charles X of France. Present family On 5 July 1957, he married Duchess Marie-Thérèse of Württemberg (born 1934), a descendant of King Louis Philippe. He received the title Comte de Clermont. Five children were born from this union, before the marriage ended in divorce. Prince François Henri Louis Marie of Orléans (born 7 February 1961, Boulogne sur Seine), Comte de Clermont, severely disabled (due to mother's toxoplasmosis during pregnancy). Princess Blanche Elisabeth Rose Marie of Orléans (born 10 September 1962, Ravensburg), severely disabled (due to the same cause as her elder brother). The ducal titles of Orléans, Valois, Chartres and the lordship of Montargis. This occurred in 1660, shortly after the death of Gaston, Duke of Orléans, who had no male descendants. The family might also have obtained the county of Blois and with it the Château de Blois, Château de Chambord and also the governorship of Languedoc but Philippe de France was refused these by his brother. In 1672 Louis XIV added the duchy of Nemours, the countships of Dourdan and Romorantin, and the marquisates of Coucy and Folembray. In 1692, Philippe's son and heir, Philippe II, married Françoise-Marie de Bourbon, a legitimated daughter of Louis XIV by his liaison with Madame de Montespan. In order to convince his brother to allow his son to marry one of his illegitimate daughters, the king gave him the Palais-Royal and promised him a dowry of two million livres. This palace became the Paris residence of the Dukes of Orléans until 1792. The Orléans canal, built by Philippe de France, was used by the family to transport their timber from the Orléans forest to the capital where it was sold. The canal was nationalised during the revolution. He quietly increased his wife's annual allowance to 400,000 livres while he was in power. He also bought many buildings around Paris, although many were sold by his grandson. It was also he who bought the Regent diamond (also known as Le Régent), which was kept at the Louvre in Paris. The king added the countship of Soissons in 1751 and the lordships of Laon, Crépy and Noyon. By 1734, the family's income exceeded one million livres annually in rents due from the ducal domains of Orléans, Valois, Chartres, and the lordship of Montargis. Sales of timber from such vast tracts as the Orléans forest, added 500,000 livres. Rents came in from the towns of La Fère, Marle, Ham, Saint-Gobain, the Hôtel Duplessis-Châtillon and from the Ourcq canal. Because the Dukes of Orléans were also the premier princes du sang, the kingdom's treasury paid for their personal household of 265 staff and officers. Along with towns and buildings, the family derived income from its forests on the ducal lands at Orléans, Beaugency, Montargis, Romorantin, Dourdan, Bruadan, Villers-Cotterêts (at which they had a château), Laigne, Coucy, La Fère, Marle, and Saint-Gobin. The original apanage was returned to the Orléans family in May 1814 by Louis XVIII. It was united with the domain of the Crown upon Louis-Philippe d'Orléans' accession to the throne in 1830, at which time it was worth about 2.5 million francs in annual income. A posthumous mural commissioned around 1670 by Philippe I, Duke of Orléans. It includes: Henrietta Maria of France (d 1669), exiled Queen of England; Philippe de France, founder of the House of Orléans; his first wife Henrietta Anne Stuart (d 1670); the couple's first daughter Marie Louise of Orléans (later Queen of Spain);Anne of Austria (d 1666); the Orléans daughters of Gaston de France; Louis XIV; the Dauphin with his mother Maria Theresa of Spain with her third daughter Marie-Thérèse de France, called Madame Royale (d. 1672) and her second son Philippe-Charles, Duke of Anjou (d. 1671). The first daughter of Gaston stands on the far right:Anne Marie Louise d'Orléans. The picture frame with the two children are the other 2 daughters of Louis and Maria Theresa who died in 1662 and 1664. In 1693 after the death of Philippe's older cousin, La Grande Mademoiselle. 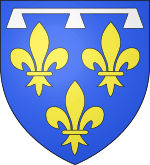 From this the family received the ducal titles of Montpensier, Châtellerault, the marquessate of Mézières-en-Brenne, the counties of Mortain, of Bar-sur-Seine, the viscountcies of Auge and of Domfront. In addition, he also received the barony of Beaujolais, which was later raised to the rank of county, and the principality of Joinville. 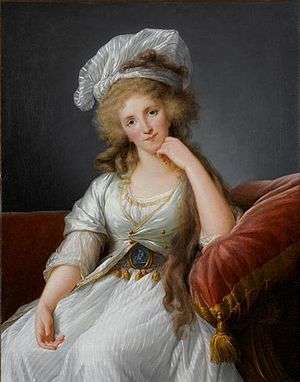 In 1769, Louise Marie Adélaïde de Bourbon, the greatest heiress of her time as the sole surviving child of her father, the famously wealthy duc de Penthièvre, married her cousin, Louis Philippe II d'Orléans, then duc de Chatres and later called Philippe Égalité. After the wedding, the Duke of Orléans received his wife's dowry of six million livres, the equivalent of around £20,000,000 today. The Orléans couple then obtained an annual income of 240,000 livres. This later increased to 400,000 livres. The couple also received furniture as part of the marriage settlement. The death of the duc de Penthièvre. In 1793 the wealthy duc de Penthièvre died and left his whole fortune and lands to his daughter Louise Marie Adélaïde. His previous heir had been his son, the prince de Lamballe, who died young in 1768. Château de Bagnolet in Paris. This was bought in 1719 by the "Regent", Philippe II, Duke of Orléans, but was sold in 1769 by his grandson. Château du Raincy – bought in 1769 by the father of Philippe Égalité. Château de Maison-Rouge at Gagny – bought in 1771 from the Marquis de Montfermeil, it was confiscated during the revolution. Château de Saint-Leu, in the Val-d'Oise area of France. This would later be bought by Louis Bonaparte and his wife. Louis Philippe II, Duke of Orléans, also acquired the land in the north east of Paris that became the Parc Monceau. Palais-Royal and its gardens, in a map of Paris, 1739. The palace itself fronts on its small square. Château de Neuilly – on the borders of 18th-century Paris. Château de Maison-Rouge in Gagny – this was given back to the family whilst the Bourbon-Orléans were on the throne of France. Château de La Ferté-Vidame – this had also been confiscated during the French Revolution and was the property of Louise Marie Adélaïde de Bourbon-Penthièvre. She had inherited it from her father. On her death it passed to her son, the future King Louis-Philippe of the French. 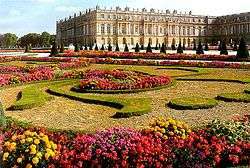 Also, along with these various residences around France, Philippe de France and his wife had apartments at the Palace of Versailles as did all other members of the House of Bourbon. Before the court was officially moved to Versailles, and before the birth of his nephew, the king's son, the Dauphin Louis de France, in 1661, the Duc d'Orléans' apartments were where the Dauphin's now are located. The apartments looked over the Parterres du Midi of the south and were directly under the Grand Appartement de la reine. After the dauphin's birth, the Orléans had to move to the north wing and occupied large quarters there. These looked out onto the Parterres du Midi of the south. The family also had apartments where the modern day Galerie des batailles are. This area was used by the duc himself, his second wife, Elizabeth Charlotte of the Palatinate, his son, Philippe II and daughter-in-law, Françoise-Marie de Bourbon. The apartments of the family were later moved to the bottom floor of the north wing, opposite the Chapelle Royal de Versailles this time looking over the Parterres du Midi of the north. The family had been moved in order to accommodate three of Louis XV's daughters, Madame Adélaïde, Madame Victoire and Madame Élisabeth. The family remained there till the French Revolution. On 15 October 1864 at Rio de Janeiro the eldest son of Louis Charles Philippe Raphael d'Orléans, Duke of Nemours, (son of King Louis Philippe of France) married Dona Isabel, Princess Imperial of Brazil, eldest daughter and heiress of Emperor Dom Pedro II of Brazil. 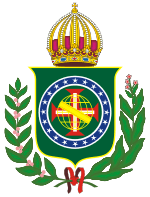 It was from that marriage the royal house of Orléans-Braganza was formed. 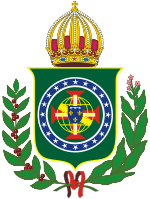 Today they are the present claimants to the throne of the former Empire of Brazil, which became extinct with the Brazilian proclamation of the republic, on 15 November 1889 after a military coup d'état headed by Marshall Deodoro da Fonseca, the 1st President of Brazil. In the Affair of the Spanish Marriages, Louis Philippe arranged for the marriage of his youngest son, Antoine, Duke of Montpensier, to Infanta Luisa Fernanda of Spain, younger sister of Isabella II of Spain. It was generally thought that she would succeed her sister as queen, since the Spanish queen's prospective husband was the effeminate Francis, Duke of Cádiz. 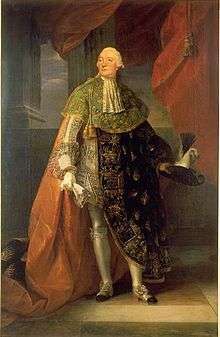 The British wanted a prince of Saxe-Coburg-Gotha for the Spanish princess, and claimed that her future children with Montpensier would not be able to succeed to the French throne, due to the Treaty of Utrecht, wherein Montpensier's ancestor the Duke of Orleans renounced his rights to succeed to the Spanish throne for himself and his descendants. Louis Philippe opposed this interpretation, and claimed that the only purpose of Utrecht was to keep France and Spain separate. On 10 October 1846, Montpensier married Infanta Luisa, at the same day her sister Isabella II married Cádiz. But the marriage of Isabella II produced many children. Montpensier funded the rebels, which helped to overthrow the government of his sister-in-law. However, the Cortes elected Amadeo of Savoy instead of him. Montpensier was later reconciled to the restored Bourbons, and his daughter married Alfonso XII of Spain, son of Isabella II. Montpensier's son Infante Antonio, Duke of Galliera, successfully claimed the succession to the duchy of Galliera, from which this branch takes its name. ↑ "Chambord, Henri Charles Ferdinand Marie, Comte de". Encyclopædia Britannica Eleventh Edition. 1911. Retrieved 2008-12-21. Henry, Lucien Edward (1882). The Royal Family of France : twelve lectures on curren French history. Europe in 1882: Out of the shadow. Paris: Librairie Galignani.